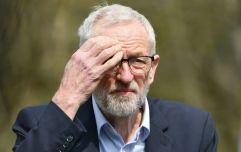 Seven MPs have resigned the Labour Party citing Jeremy Corbyn's approach to Brexit, anti-Semitism and "hard-left" policies as factors in their decision to quit. Member of the newly formed Independent Group are: Chuka Umunna, Luciana Berger, Chris Leslie, Angela Smith, Mike Gapes, Gavin Shuker and Ann Coffey. The group are not yet forming a new political party but will sit together in parliament. Speaking at a press conference on Monday morning, Berger said: "This morning we have all now resigned from the Labour Party. This has been a very difficult, painful, but necessary decision. "We represent different parts of the country, we are of different backgrounds, we were born of different generations, but we all share the same values. "From today, we will all sit in Parliament as a new independent group of MPs." She added that as a Jewish woman she was "ashamed" to continue as a Labour member and that anti-Semitism was institutionalised in the party. Responding to the move, Labour leader Jeremy Corbyn MP said he was "disappointed" that the MPs had chosen to quit his party.